 This program will allow you to take your babywearing to your fitness programs to higher levels. Check out the 4 different babywear fitness trainings that Baby Wear Fit Pro offers! So many moms are attracted to Yoga because of its ability to work and move the body in a gentle and natural way. Baby Wear Fit Yoga Training program, we will teach you how to modify popular Yoga poses to be done safely while wearing a baby, as well as how to use Yoga to strengthen a moms healing core while remembering that much of her body is trying to regulate itself. BUT we know we can help them safely work out, get a sweat on and really feel better about their post-baby body. Safety is not only key to the program content, but also the education cues we use to help moms learn how to embrace, respect, and work with their healing body. Barre is one of the trendiest new ways to stay active. In the Baby Wear Fit Barre Training program, we teach you which of the authentic Ballet movements are safe to be done for a postnatal mom, which are safe to be done while babywearing and which need to be modified to be supportive for both mom and baby. We will give you specific curriculum and teaching cues that you can turn around and use yourself, in your own Babywearing Ballet classes. Dance just makes the body feel GOOD! What a better way to safely start moving again, but to turn on some music and get your groove on! In the Baby Wear Fit Dance program, we will teach you how to safely incorporate dance into a babywearing dance class. This is not only fun to teach, but it will be the highlight of your moms week – they will look forward to your class each week. We'll also send you the Fitness Instructors Guide To Babywearing Basics" to get you started. Thanks for your interest in our Baby Wear Fit Yoga Program!!! You're almost there! Just enter your email below. We'll send you the details and you'll get access to our "Fitness Instructors Guide Babywearing Basics" to get you started. Thanks for your interest in our Baby Wear Fit Fitness Program!!! Thanks for your interest in our Baby Wear Fit Barre Program!!! Thanks for your interest in our Baby Wear Fit Dance Program!! !